General consumer knowledge about the importance of sleep is growing, given the recent spate of reports about train and bus crashes due to drivers who suffered from OSA but were completely unaware that they had the disorder. I have now focused on growing my practice through dental sleep treatment. With such a high and growing prevalence of OSA in the general population, as well as the burgeoning public knowledge about the topic, there are many patients in a typical dental practice who have already been diagnosed with OSA and have either failed to comply or refused CPAP treatment. While CPAP therapy is currently the gold standard treatment for obstructive sleep apnea, compliance rates for CPAP are between 17% and 54%.2 Patients even refuse to try CPAP due to discomfort, noise, or the stigma attached with wearing a mask all night. It is almost certain that many patients in our dental practices have already been diagnosed with sleep apnea and are unwilling or unable to comply with CPAP. These patients are often eager to consider oral appliance therapy, once they find out it is an option. Marketing strategies to those already in your patient base include raising awareness with patient education materials. Another marketing strategy is to use your staff as awareness educators—by making sure you and your staff are well-versed in discussing the CPAP alternatives that you can provide, as well as the importance of getting treated. Everyone from the front office to the back office should be trained. There is even a developing industry of service partners that can provide training, scripts, and patient education materials for your office. All of these increase patient expectations that they will be reviewed for sleep-breathing disorders as a regular course of their dental visits and offered therapy when appropriate. 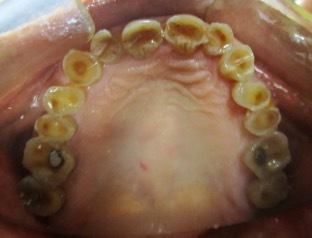 Over time, you will start to develop a reputation for providing dental sleep with your current patient base. Patient education marketing materials can highlight some common oral side effects of OSA and related disorders such as sleep bruxism. 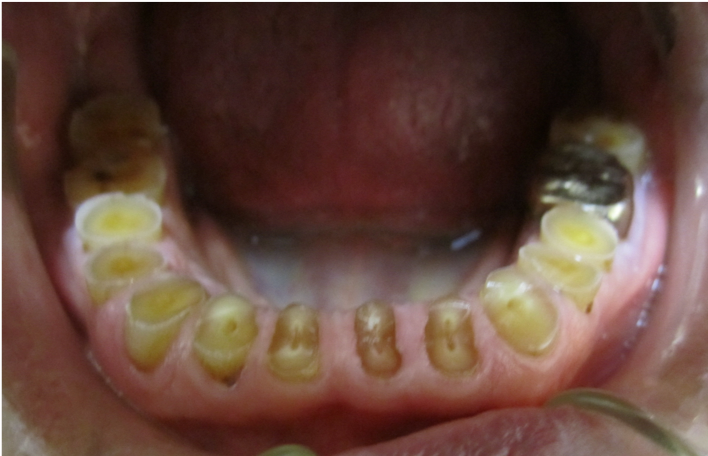 Regular bruxism may be associated with moderate to severe dental damage, facial pain, and disturbed sleep.3 However, most patients exhibit obstructive respirations during sleep when the mandible falls back, bringing the back of the tongue with it. This triggers a series of events that, in some people, results in a reflexive attempt to open up the airway by increasing masseter tone. This brings the mandible forward and, in many patients, improves respirations. Unfortunately, over time this motion can lead to symptoms of pain in the temporomandibular joint (TMJ) and other problems such as morning headaches4 and wear on teeth, such as that pictured in the upper and lower arch photos shown here. Including photos such as these in our patient education materials helps create the link between dental problems, sleep, and overall health. When patients understand the risks of not treating OSA, they are more likely to accept the necessary treatment. In terms of new dental sleep patients, word-of-mouth referral has been my biggest source of marketing. This comes from two sources: existing patients and the medical doctors in my community. Existing patients who are treated for sleep are typically happy, grateful patients. They can be a big source of referrals for more patients to your practice. On average, I have found that my dental sleep patients have each referred 2.2 new patients to my practice. In addition, make sure you are known for high quality collaborative care—this will drive referrals from your medical community. Partnering with a medical consultant or a group of sleep physicians is a must in my office, not only to help with the continued patient communications but also the needed diagnostic tools such as sleep testing, interpretations, and/or telemedicine, should the patient not have a current medical physician. I personally use SleepArchiTx, a dental-medical service provider for which I am an advisor, to help connect the needed medical component to my dental practice. This assistance even extends to marketing because it connects me with medical doctors who then become referring physicians. One of my biggest benefactors of this comprehensive dental-medical system has been my patient “Suzanne,” whose case report was recently published in the journal EC Dental Science.6 Her symptoms ranged from TMJ pain to heavily worn-down teeth and excessive daytime sleepiness. Suzanne scored a 22 on a SleepArchiTx patient sleep assessment form, in which a score of 8 or higher indicates severe risk. Home sleep testing interpreted by a boarded sleep physician was done, and her AHI was 7. For Suzanne, who refused the CPAP, I was able to work with a SleepArchiTx network sleep physician to collaboratively determine that an oral appliance was an appropriate treatment. As pictured, we opted for treatment with clear aligners and the Aligner Sleep Appliance. These protocols along with follow-up sleep studies and continued support throughout Suzanne’s treatment helped her achieve a more comprehensive care plan and obtain more favorable pain-free results. Medical providers in my community now know that my dental practice has a high quality, collaborative care approach. The result is that we now refer patients to each other. In these ways I have been able to grow my practice with dental sleep. I suggest starting with internal marketing. I recommend working with a service partner who can provide dental sleep training for your entire staff, including scripts to talk to the patients about sleep-breathing disorders and provide patient education materials for your office. The external marketing will naturally follow as you gain a reputation for providing high-quality collaborative care. Payam Ataii, DMD, MBA, is an award-winning graduate of Tufts Dental School who has treated more than a thousand patients with clear aligners and oral appliances as mono- and combo-therapies at his private practice in Laguna Hills, Calif. As an author, Ataii has been published in national and international peer-reviewed publications, as well as in mainstream press and television. Over the years, Ataii has presented lectures around the country on his research and accumulated findings with thousands of his peers, serves on multiple boards, and trains doctors and dental team members around the world. Ataii (www.ataii.com) is co-inventor of the Aligner Sleep Appliance and a consultant to SleepArchiTx. 2. Weaver TE, Grunstein RR. Adherence to continuous positive airway pressure therapy: the challenge to effective treatment. Proc Am Thorac Soc. 2008 Feb 15;5(2):173-8. 4. Simmons J, Prehn R. 0668 Airway protection: the missing link between nocturnal bruxism and obstructive sleep apnea. Sleep. 2009;32(suppl_1):A218. Available at www.houstonsleep.net/HTML/Bruxism.pdf. 5. Gagnon Y, Mayer P, Morisson F, et al. Aggravation of respiratory disturbances by the use of an occlusal splint in apneic patients: a pilot study. Int J Prosthodont. 2004 Jul-Aug;17(4):447-53. 6. Ataii P. Combining orthodontic and sleep apnea treatment using acceleration techniques. EC Dental Science. 17.6 (2018):968-77. Available at www.ecronicon.com/ecde/pdf/ECDE-17-00701.pdf.